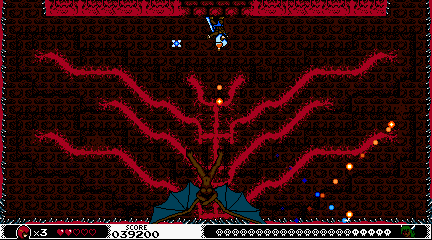 A Hole New World is a 2D platform arcade game with NES aesthetics and today's playability where you play as the Potion Master (and his fairy friend, Fäy) through different worlds in a quest to send all the demons back to their own dimension, while they gain new powers by defeating the demon bosses. Unique gameplay mechanic (or that's what we thought XD) that will let you play like never before. Upside down! 48 different colors, 64 sprites simultaneously on screen (maybe some more) and Ultra High 240p resolution! Nintendo classic looks, today's gameplay! The original A Hole New World was created for Ludum Dare 30 in 2014 as an intermission while we were developing our first game Ninja Trials (in hiatus right now). While developing A Hole New World we liked it a lot, and in top of that it got a quite good reception so we decided to make the game bigger and better. - We ported ALL the stages from libGDX to Unity. - We improved the controls and animations of the potion master (new animations for shooting up and down, etc). - New enemies for stage 5. - Parallax backgrounds in all first 4 stages. 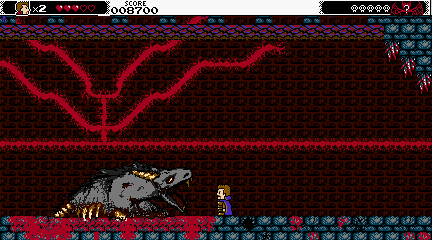 - We improved some bosses to make them more fun. - Lots of bug fixing. - New musics and sound effects. - NPCs. They are some of the backers from Kickstarter (the ones that paid certain amount to appear in the game). You can interact with them and see how they react. -And a lots of more improvements! -Did we say Double Jump already? -Weapon system improvement (you can shoot all your weapons up and down now, etc). -4th stage Fully playable (with more flow! and more colorful tiles!). -New music for 4th stage boss. -Zombies on fire. ZOMBIES ON FIRE!!!!! -New enemies: Tamed Slimes, Ghosts, Stone Eyes and Bloody Monsters. -New music and sounds for the new stage and enemies! -Zombies! And blood! and guts! -Cutscenes super improved!! (some of them) + one extra cutscene. -Now you can shoot up and down (while jumping)!! -New pause and start menus!! -Now you can save state!! -And you have infinite continues!! -And you continue in the checkpoint!! -Hints to understand lighting breakable things. -Forest stage is more fair now. And has better colors. -Lightning bug (and many other) fixed. Added a whole new third stage. At least 2 different ways to advance. Added 5 new enemies for 3rd stage. Added a new final boss for 3rd stage. Added 2 new stage elements that affect gameplay. Added a changeable boss room. Added a whole new bunch of sounds for the new stage. Added graphics for new weapons. Added core collection after battle. Cutscene enhanced with the powerup & Game+ screens. Fixed various minor bugs (1up allowed to jump higher, Engrish text). 31/10/2014: First release. Version 0.02. First two stages complete. We've just released the game in itch.io. It's still in expansion status (aka early access), but there is already two levels and two boss fights. We'll try other stores soon. While we do the rest of the game, the game prices will be reduced (all future updates will be free for first buyers). I'm not sure if it's because there's only two levels and you plan to change this once all four (plus the intro) are in the game, but the difficulty spike between level 1 and 2 was really extreme. Maybe you could reduce the number of enemies at some points? 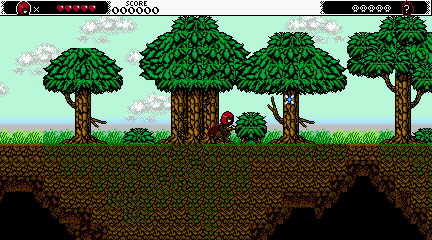 I had swarms of birds and spiders attacking me consistently halfway through the stage. 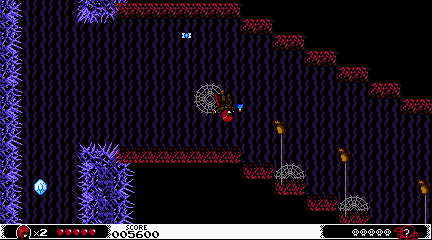 I like the enemies' behaviors overall, how they move and attack between worlds. Sometimes, snakes or spiders from the shadow world would pop out unexpectedly over a pit though. Looking forward to playing the full version! About the difficulty: The first level is an introductory level to learn how to play and the second level is where the real action starts so we wanted the difficulty change to be easily recognizable. Anyways, as you say, I think we went too far so with the new levels that are coming soon (we plan to have a beta of the next one in two weeks) we will review the difficulty curve of the levels. We are glad you are enjoying it and we will try to keep doing cool things. Keep yourself updated about new releases! 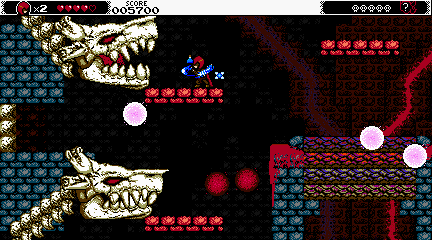 Added a whole new third stage with several crossroads (and at least 2 different paths), 5 new enemies, new stage elements that affect gameplay (ice & snow), and also its musics & sounds. Re: A Hole New World --> Main Character feedback needed!! I like your original design (or A). Nothing wrong with the others, but the first has a certain sense of character that they've lost. With a palette swap C would make a good NPC, like a shopkeeper or potion master or something. The original design works really well with the NES-like style. Version B would be my second choice, because it's still got a good silhouette that shows character from the side. C is just all hood, and while he looks decent at an angle, from the side he's basically just a hood and cape. I think B and C are better made. A has manboob-armor and a gorilla figure (no legs and long arms). I'm sure you could get him to work though, with a few touch-ups.